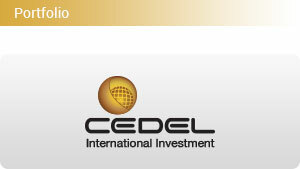 Cedel’s investment philosophy is guided by Mr. Cedeño’s experience and success in identifying investment opportunities in growing sectors that are in need of financing and, then, providing management direction to achieve profitability. Cedel is driven by this goal and holds the firm commitment of maintaining the wellness of a business’ key assets – its employees. Corporate social responsibility is fused with the proactive spirit of our firm to encourage the development of a stronger and prosperous community that promotes values such as diversity, human rights and solidarity.